Melanie, a reader in Oregon, had emailed me a few months ago asking about maintenance for Antique Brown granite with a Satin Finish. She ended up using this granite and recently sent me some Before and After pictures. I'm a sucker for Before and After photos, so I asked Melanie if I could share them with you. 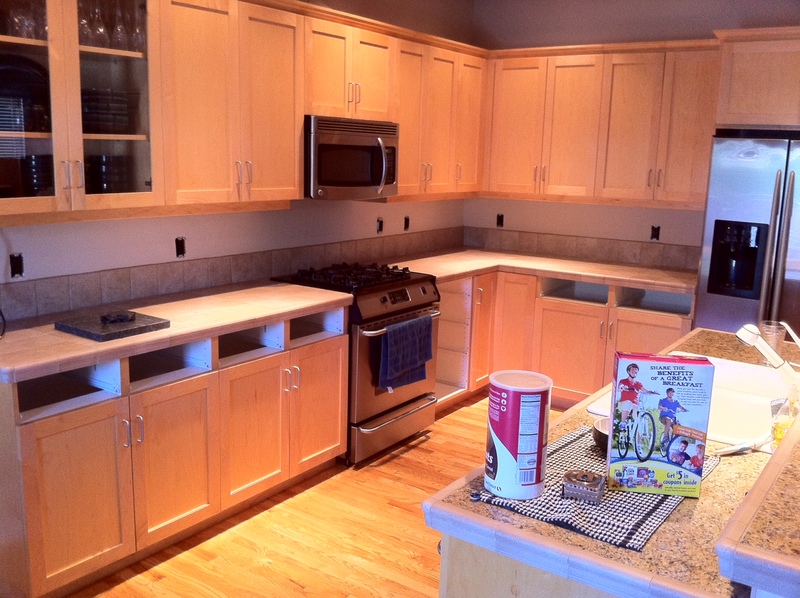 Before their remodel they had three different surfaces in the kitchen. The bar had granite tile with a ceramic bullnose edge that matched the back counter which was all ceramic tile. There also is a side desk area that had a laminate surface. Melanie said "We were not happy with the lack of color contrast with the old look. Everything had the same color tone from the hardwood floor to the maple cabinets." It wasn't a bad kitchen before, but I can see how she wanted an update. Check out the after pictures, this kitchen is so beautiful!! 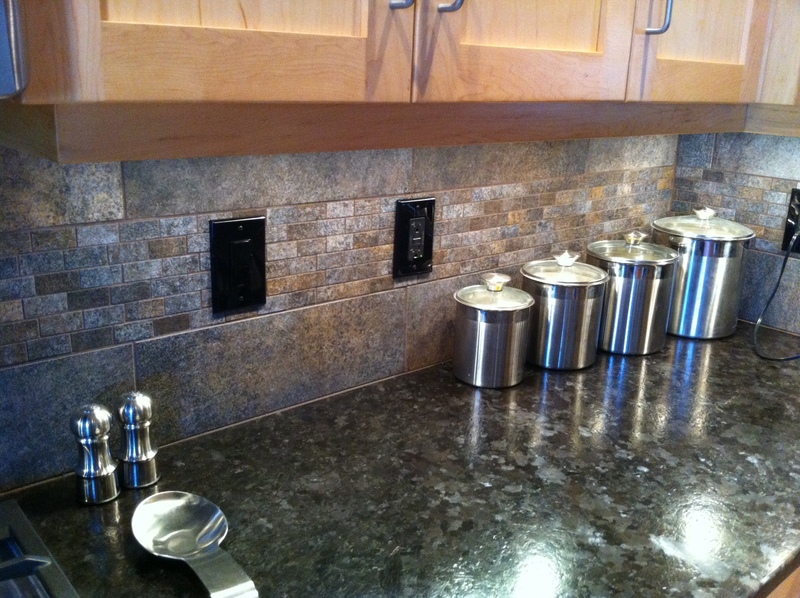 From Melanie..."We are loving our Antique Brown Granite with the Satin Finish. 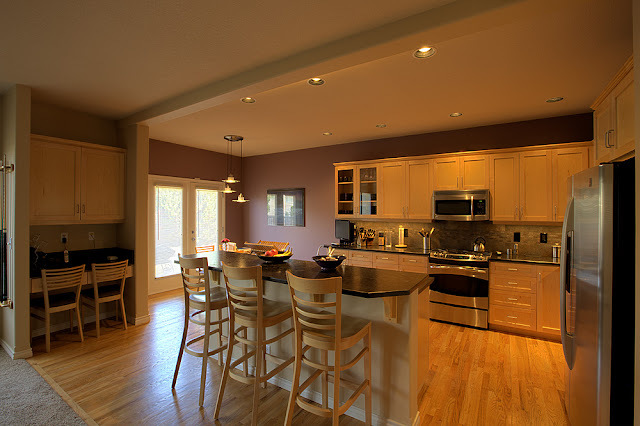 Actually, our whole kitchen remodel was a fantastic experience for us out here in the Pacific Northwest. 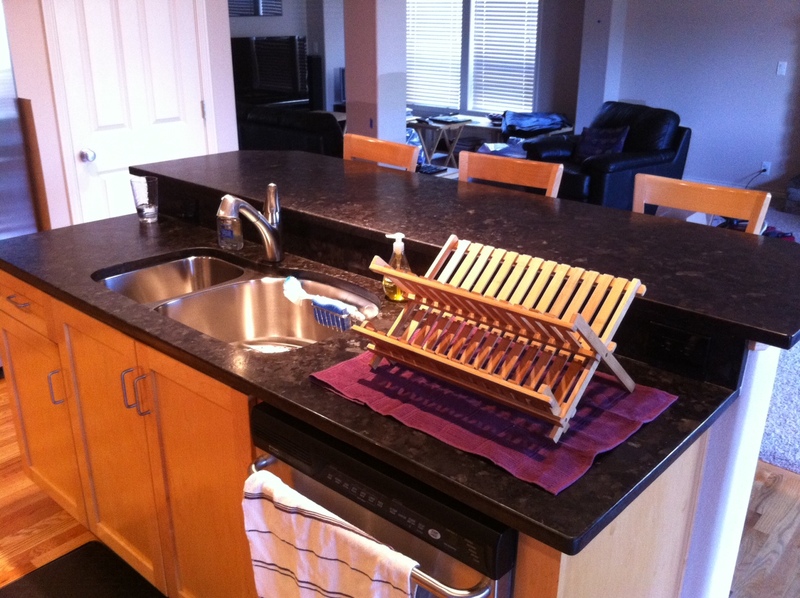 This granite is super easy to care for and it always looks fantastic. I love the fact that I don't see fingerprints. You just see a bit of dust if your are not a clean freak, and that I am not. I simply use the cleaner and polish I picked up at Home Depot to give it a dust and shine if company is coming, and I want to "impress". We also use stainless steel pots and pans, and I have not had any trouble with scratching; although, I admit that I am conscious of not sliding my pots and pans across the surface. I really try to be diligent about picking them up. It's been about 5 weeks since the completion of our project, and we have absolutely no complaints." 1. We both like the overall look, feel, and performance of our granite. because everything is just so easy to clean up. than what I had before, and easy to care for. "As far as regrets go, we really don't have any. We really can't think of anything we would do different next time. Sure, I would love a true walk in pantry; but that would require a whole lot more than cosmetic changes. Simply put, we are quite thrilled with the results." This kitchen is stunning. Antique Brown is one of my very favorite granite colors and I love it with a Satin Finish. I really like their paint colors as well. Melanie--Thank you so much for sharing the pictures and your story! If you would like to show pictures of your finished project here, please send me (Steph) an email. Beautiful kitchen! I love the Antique Brown, I've been considering it for my kitchen. what a gorgeous change. her new kitchen is great. thanks for sharing! 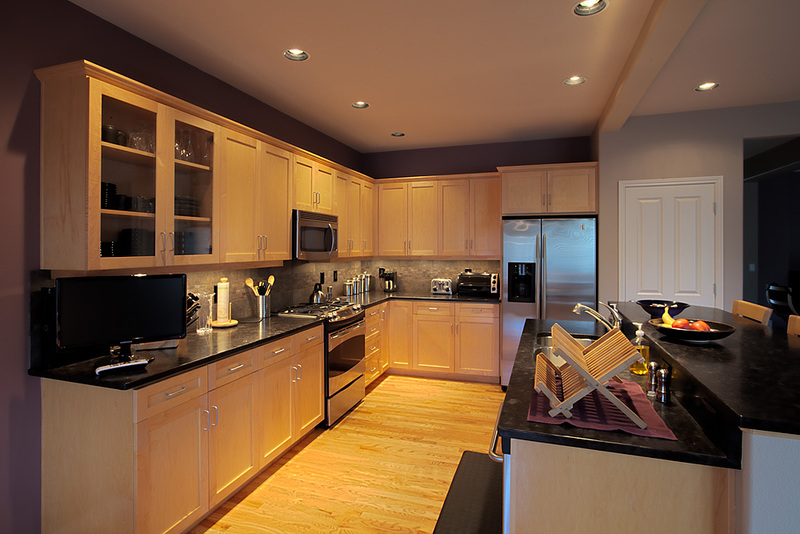 The Antique Brown is a great contrast with the light cabinets. I have used this granite in the past in a couple of different client homes. It's a great choice. Great kitchen. I do love seeing before and afters! This was a fun one, it's the style I like.